We’re making a list and we’re checking it twice. That’s because we’re doing double takes after seeing just how much money these female athletes are raking in. With solid career earnings and a variety of elite sponsorships, these women are making money hand over fist. Introducing the highest-paid female athletes on the planet. Candice Parker has one of the most stacked resumes out of any athlete, in any sport. 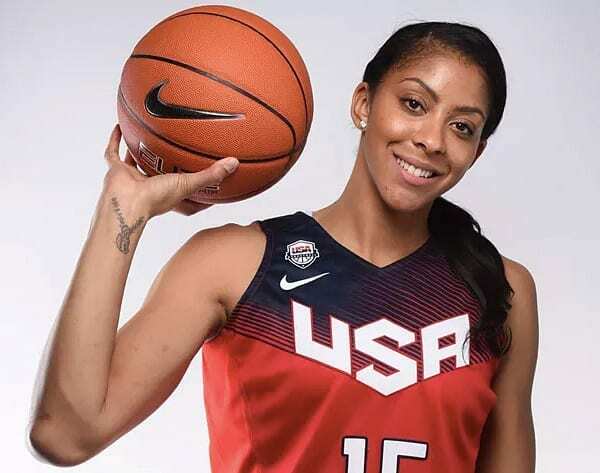 She was the first overall pick in the WNBA Draft following an impressive career at the University of Tennessee. As a Lady Vol, Parker led the team to two consecutive National Championships (2007-08) and became the first woman to dunk in an NCAA Tournament game. Later, she became the first woman to dunk twice in the same game. In the WNBA, she’s been awarded the Finals MVP and is a two-time regular season MVP. Parker was formerly married to Duke legend Sheldon Williams, and in 2007 she was named one of People Magazine’s 100 Most Beautiful People In the World. Aly Raisman, a fan favorite at both the 2012 and ’16 Olympics, has six Olympic medals including three golds. However, Raisman’s greatest contribution has come outside of the gym. Raisman has been one of the most vocal critics against former U.S. team doctor Larry Nassar and is at the tip of the spear when it comes to fighting for sexual assault survivors. 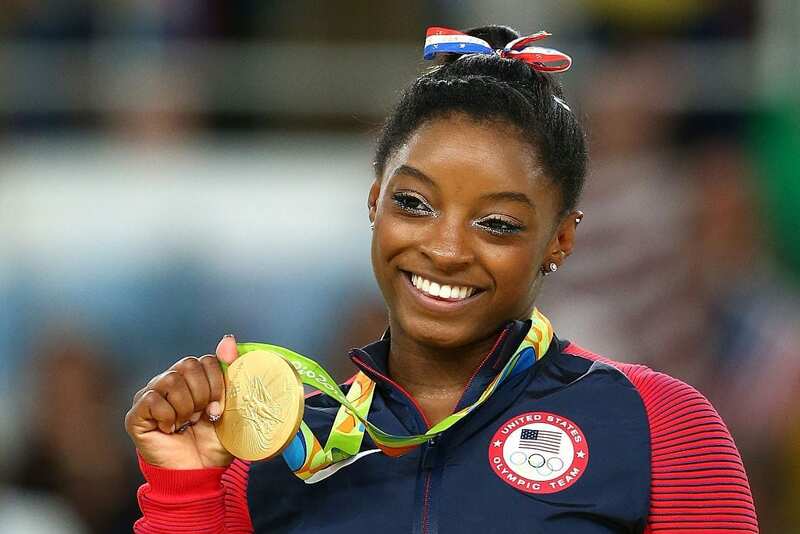 Although she only stands at 4-foot-8, Simone Biles has the confidence and stature of a giant. She’s the most decorated gymnast in U.S. history and the third-most decorated female gymnast in the world. At the 2016 Rio Summer Games, Biles put on a record-breaking performance and won four gold medals and one bronze medal. Time Magazine named her one of the world’s most influential people, while ESPN The Magazine named her the most dominant athlete of 2018. Today she’s one of the most marketable athletes in the world and has endorsement deals with Nike and The Hershey Company, among others. She broke onto the scene at the 2011 FIFA Women’s World Cup, where she was the team’s youngest player. Since then, Morgan has been an integral part of the U.S. Women’s team and has played in two Olympic games and another World Cup. Morgan holds the honor of being the first female soccer player to appear on the cover of EA Sports’ famed “FIFA” series and became a New York Times best-selling author for her kids’ book “The Kicks.” In 2015, Time Magazine named Morgan the top-paid American Women’s soccer player, largely thanks to endorsement deals from Nike, AT&T, and Chobani Yogurts. 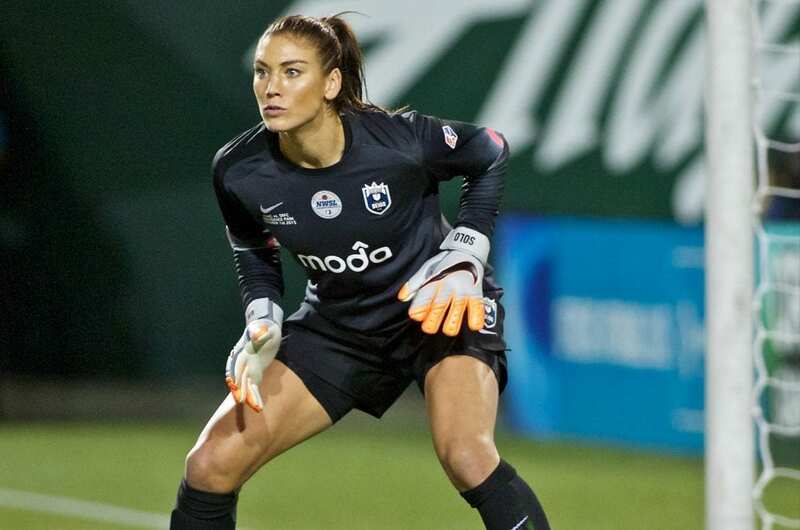 She’s the greatest female goalkeeper in U.S. soccer history and was, during the peak of her playing days, the best female goalkeeper on earth. But making brilliant saves couldn’t spare Solo from the negative spotlight that surrounded her throughout much of her career. In 2014, Solo was arrested for assault, and although charges were later dropped, it tarnished her reputation almost beyond repair. In 2016, Solo was suspended by the U.S. team for the second time after she made disparaging remarks following a crushing defeat to Sweden in the Olympics. Solo has numerous endorsement deals and participated on “Dancing With The Stars,” making it to the semifinals before being eliminated. 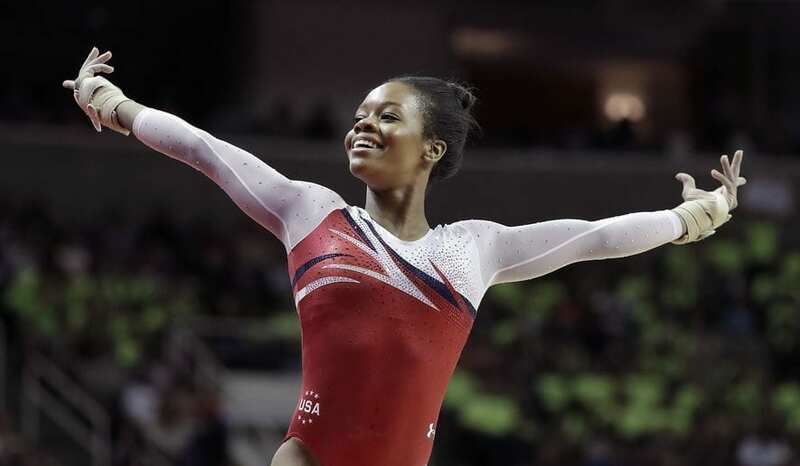 Gabby Douglas, one of the stars at the 2012 and 2016 Olympics, became the first African American and first woman of color from any nation to become the Individual All-Around Champion. She also became the first U.S. gymnast to win gold in both the individual and all-around team competitions at the same Olympics (London 2012). Douglas, like many other athletes, released a book, “Grace, Gold, and Glory: My Leap of Faith,” which debuted at No. 4 on The New York Times bestseller list. In 2017, Douglas took another leap of faith by going public about the abuse she suffered at the hands of Larry Nassar, the disgraced former team doctor. At just 23, Mikaela Shiffrin is already considered the best women’s downhill skier in the world. At age 16, she won the slalom at the U.S. National Championhips, becoming the youngest winner in history. She has three Olympic medals, two of which are gold, and she has won 49 World Cup races, making her the 4th-most decorated female alpine skier of all time. Shiffrin spent time growing up in both Vermont and Colorado and was considered a child prodigy. A young, marketable athlete, Shiffrin is coveted by a variety of brands and is currently sponsored by Red Bull and Oakley just to name a few. She’s one of the world’s most decorated track and field athletes and the only female track and field athlete to win six Olympic gold medals. She’s tied with Jamaica’s Merlene Ottey as the most decorated female Olympian in track and field and is the most decorated athlete in IAAF World Championships history. 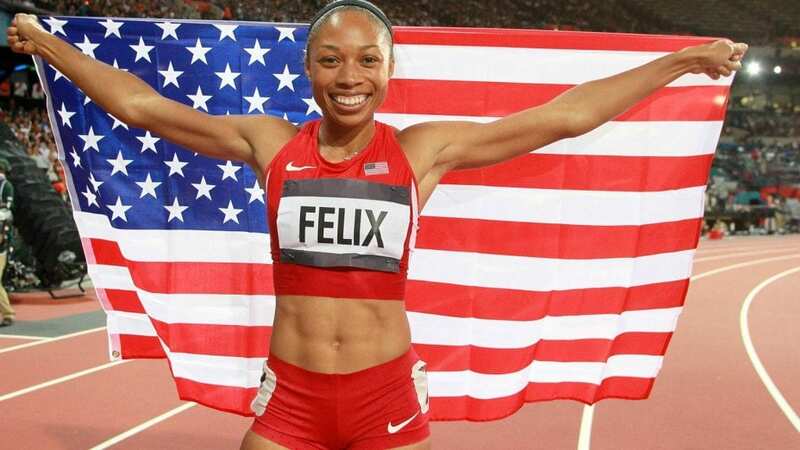 Felix has found herself on the podium in four consecutive Olympic Games and doesn’t plan on stopping soon. Aside from running, Felix is a member of Project Believe, a voluntary drug-testing program that exceeds normal drug-testing requirements. Known as “Chicken Legs,” a nickname her teammates gave her in high school, Felix is sponsored by a number of major brands including Nike and Gatorade. At the 2010 Winter Olympics in Vancouver, Lindsey Vonn won the gold medal in the downhill event, becoming the first American woman to do so. Besides that Olympic triumph, Vonn has collected two additional bronze medals and numerous victories on various world tours. She’s one of the most recognizable athletes in the world and has been romantically linked with a number of A-list celebrities, most notably Tiger Woods. Vonn, who happens to be fluent in German, is sponsored by numerous brands including Under Armour, Red Bull, and Oakley. Currently, Vonn is dating another winter Olympian, NHL player P.K. Subban, who plays for Team Canada. 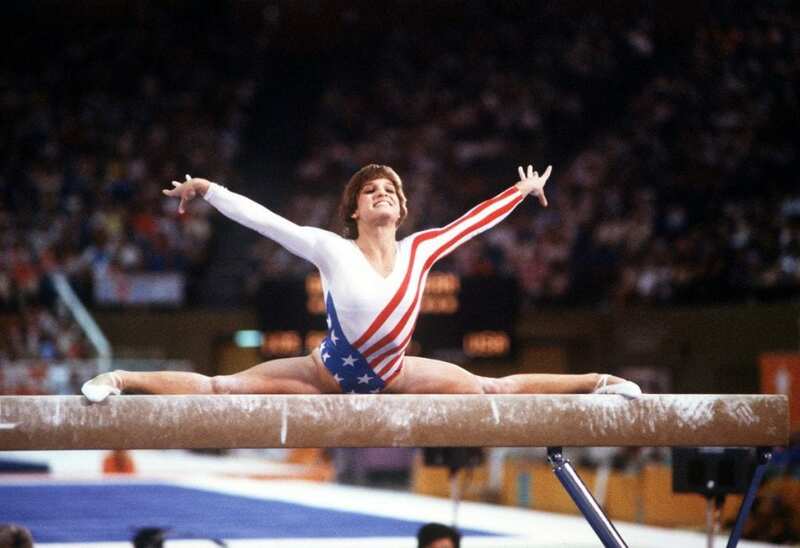 Before Simone Biles, Gabby Douglas, McKayla Maroney and Aly Raisman, there was Mary Lou Retton. 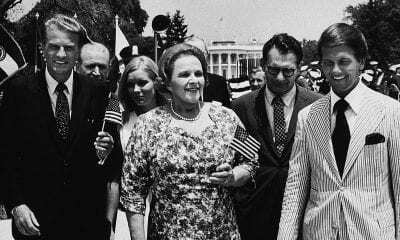 At the 1984 Summer Games in Los Angeles, Retton became the first American woman to win the all-around gold medal at the Olympics, a feat that wasn’t broken for 20 years. Known for affinity for wearing pink, LPGA’s Paula Creamer has been dubbed the “Pink Panther.” Considered a very accurate striker, Creamer has been plagued by her inconsistent short game and has also battled injuries throughout the bulk of her career. However, as she’s matured, she understands when to put the clubs down rather than push through the pain. Paula, who was married to a pilot named Derek Heath, filed for divorce after just three years of marriage. Off the links, Paula enjoys eating butter pecan ice cream — her favorite flavor — and has hit only four hole-in-ones, but is probably four more than you and I combined. The first woman to score a perfect 10 at the Olympics was Nadia Comaneci, who successfully attained perfection at the 1976 Olympics in Montreal. From that point on, the nine-time Olympic medalist virtually solidified herself as the greatest Olympic gymnast of all time. But her story off the mat is equally, if not more, impressive than all the medals and trophies she won. Comaneci grew up in Romania and lived under an oppressive communist regime. In 1989, Comaneci defected to the United States. Today she lives with her husband, former gold medalist Bart Conner, in Oklahoma and has one child. 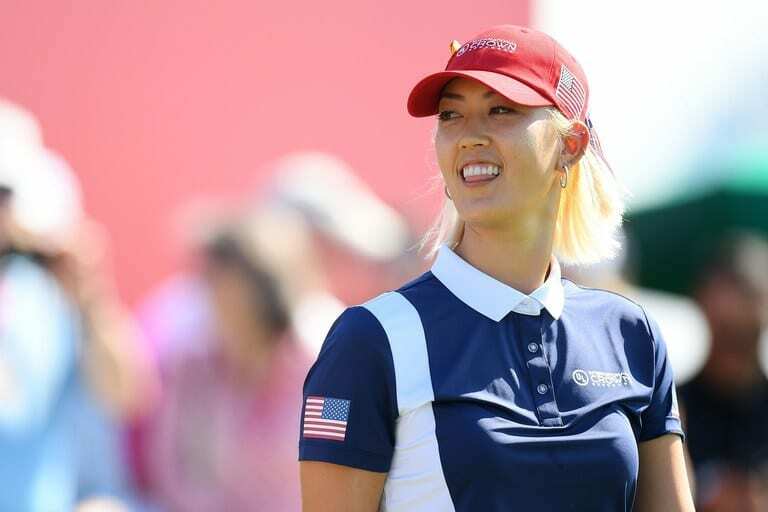 If it seems like LPGA golfer Michelle Wie has been around for decades, it’s because she has. At just 10 years old, Wie qualified for the USGA Amateur Championship, making her the youngest to do so. Then, at just 15, Wie turned pro. Since then, she’s been a fixture at nearly every major tournament. Despite being around golf for so long, Wie hasn’t been ranked higher than sixth and has only five professional wins. In 2012, Wie graduated from Stanford University with a degree in communications. Wie, who is originally from Hawaii and was born to two South Korean parents, earns a sizeable portion of her income through sponsorships from brands like Nike. Before Rousey fought her way to the top of the UFC, she was an Olympic bronze medalist at the Olympics. Then Rousey turned to MMA where she had an unprecedented run of success atop the UFC. However, like all empires, it had an expiration date, and the Rousey Dynasty crumbled after she suffered numerous humiliating knockouts. After being bounced to the canvas, Rousey got up and proceeded to bounce to the WWE. Rousey is the first woman to be elected to the UFC Hall of Fame and is currently married to UFC fighter Travis Browne. Outside of fighting, Rousey has appeared in numerous movies, like “The Fast and Furious,” and has endorsement deals with Reebok and Carl’s Jr., to name a few. Considered one of the greatest female golfers of all time, Mexico’s Lorena Ochoa has won 27 times on the LPGA tour and is a member of the World Golf Hall of Fame. After a long, successful career, Lorena decided to pack up the clubs and leave the links. Retirement was in store as she wanted to spend more time with her family and relax a bit more. Can you think of a more famous Belarussian? Neither can we. Victoria Azarenka is a two-time Australian Open winner and has two Olympic medals — one being gold — from the 2012 London Olympics. At one point, Azarenka climbed all the way to the top of the world rankings before a variety of injuries and personal issues knocked her down. Azarenka became the first tennis player to be sponsored by Red Bull and also has deals with Nike and American Express. The talented Azarenka is trilingual and primarily lives in Monaco, where she, if she wants, has ample opportunity to gamble away her hard-earned cash. Let’s serve up another tennis player. Chris Evert was in a league of her own. She set the standard for Women’s tennis and became one of the world’s most dominant female athletes. In total, she won 18 Grand Slam Singles titles and seemingly spent year after year ranked as the top female tennis player in the world. Listing every record of hers here would bore even the most passionate Evert fan to death, but rest assured she holds a lot of records and achievements. Off the court, Evert has made some interesting relationship decisions. She’s been married three times, all to high-profile celebrities, with two of the marriages ending because Evert wasn’t faithful. There was a period where Michell Kwan was considered the most popular and adored female American athlete. Despite never winning gold in the Olympics (she has one silver and one bronze), Kwan is considered to be one of the most complete figure skaters of all time. From 1997 to 2005, Kwan ruled the ice and was the top-paid American skater. 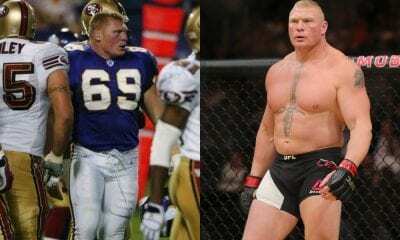 But injuries forced her early retirement from the sport. Since taking off the skates, Kwan has earned a graduates degree from Tufts University and has worked as a public diplomacy ambassador under Condoleeza Rice and with the Obama Administration. Kwan has numerous endorsements and, to this day, is heavily involved with the Special Olympics. Had her career not been severely altered following an on-court stabbing, Monica Seles very well could have become the absolute, definitive greatest female tennis player of all time. As a teenager, Seles won multiple Grand Slams and was the world’s No. 1 tennis player. Then in 1993, a deranged German tennis fan stabbed her in the back in the middle of a match. The traumatizing injury forced Seles to take a hiatus from the sport, and when she returned she was never the same. She did manage to win one more Grand Slam, but the unprecedented rate at which she won was never the same. Seles, born in Yugoslavia, became a U.S. citizen in 1994 and represented Team USA at the 2000 Summer Olympics. Since retirement, Seles has published a book and married a businessman 32-years her senior. Also known as Kim Yuna, this South Korean figure skater was considered the world’s best and never finished a competition off the podium. She set numerous world records for points scored and became the first female skater to surpass both the 140 and 150 point-mark in free skating. 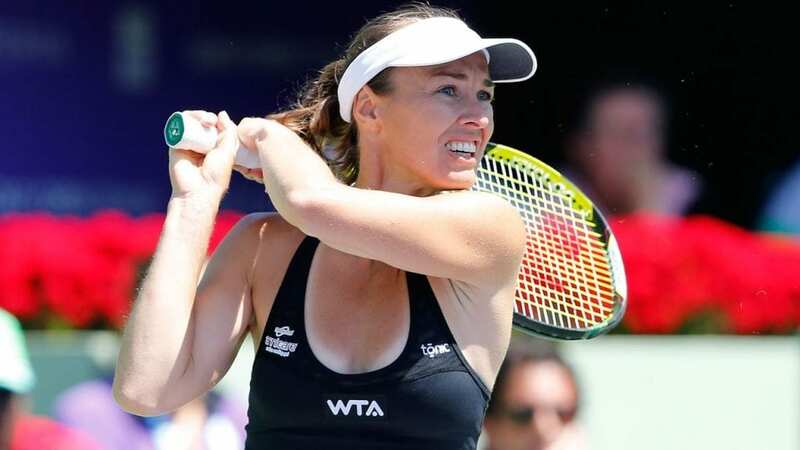 The Can’t-Miss Swiss, aka Martina Hingis, originally hails from what is now today Slovakia but moved to Switzerland as a child. There, Hingis developed her tennis skills before becoming the youngest Grand Slam champion in tennis history. Like many other athletes, injuries precluded her from having the career she could have had. But in total, Hingis won five Grand Slam singles titles and 13 Grand Slam doubles titles to go along with one Olympic silver medal. Hingis speaks five languages fluently and was sponsored throughout the majority of her career by Adidas. Hingis is married and is expecting her first child. Hailing from Denmark, Caroline Wozniacki is one of tennis’ best defensive players. The Scandinavian stalwart has previously been ranked No. 1 in the world and is considered one of the most marketable female athletes in the world. Despite her sustained excellence, Wozniacki has only managed to win one Grand Slam title, the 2018 Australian Open. Off the court, she’s been in a few high-profile relationships, notably with golfer Rory McIlroy, who severed the relationship before the two married. Today, Wozniacki is engaged to David Lee, a former NBA champion and two-time All-Star. Some of her sponsors include Turkish Airlines and German sportswear company Adidas. 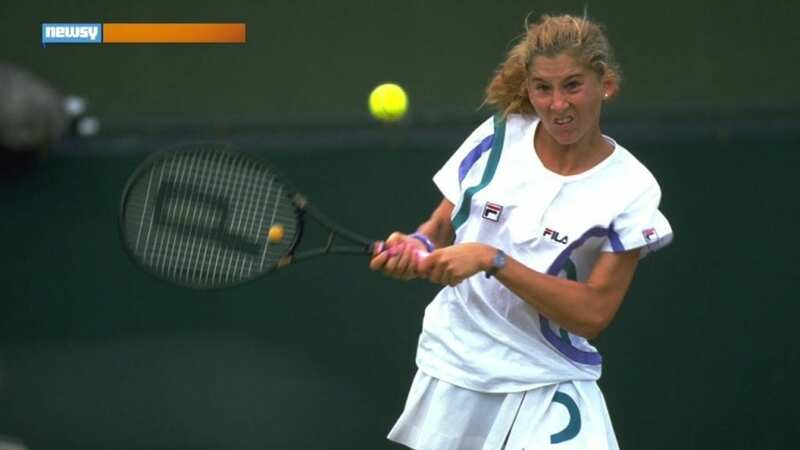 With a remarkable 22 Grand Slams, Steffi Graf ranks third all-time in Grand Slam victories and is the only player to achieve the Golden Slam by winning all four Grand Slam singles titles and an Olympic gold medal in one calendar year. Among her peers and tennis aficionados, Graf is usually considered one of the top tennis players — male or female — of all time and held the longest No. 1 ranking ever. In 2001, Graf married tennis star Andre Agassi, and the couple has two children together. Throughout the majority of her playing career, Graf was outfitted by Adidas and has used multiple racquets. She and Agassi have collaborated with racquet company Head to concept a signature line of equipment. Born in Sweden, Annika Sorenstam made her way to the States by way of Arizona where she starred on the University of Arizona golf team, becoming the first freshman and international player to win a National Championship. To date, Sorenstam has earned the most prize money in LPGA history and sits comfortably at the top of that coveted list. Because of her success, many believe she’s the best female golfer ever. Sorenstam has been married twice and holds United States citizenship along with her native Swedish citizenship. Since retiring in 2008, she has worked on designing golf courses and has a golf clothing line in partnership with Cutter & Buck. Sorenstam also regularly appears on television as a guest commentator for LPGA events. With zero Grand Slams and an early retirement at just 21, Anna Kournikova is usually considered one of the most overrated tennis players in history. 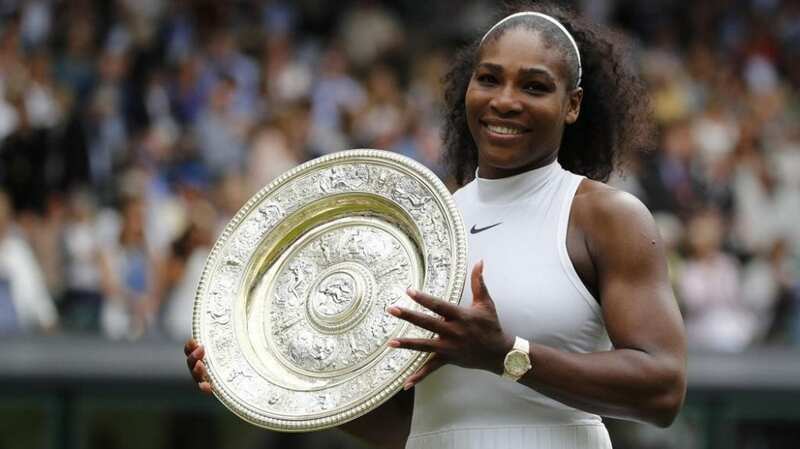 The amount of celebrity status she has and the cult following she garnered is usually attributed to her looks and the mystery surrounding her personal life, not her on-court success. As a player, the highest stage Kournikova ever reached in a Grand Slam tournament was the semifinals at the 1997 Wimbledon Championships. Kournikova did, however, find a bit more success in doubles play, where she won two Australian Opens and reached a No. 1 world ranking. If she had a dollar for every time she crashed, her net worth would be even greater. 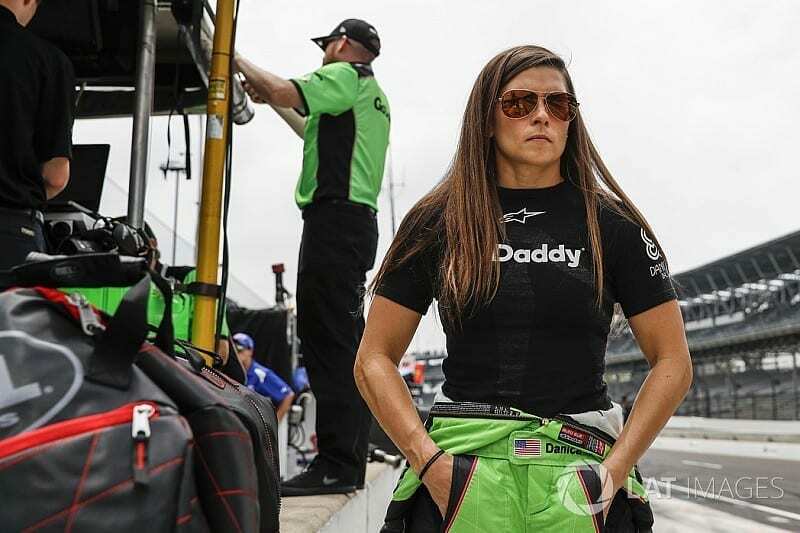 Danica Patrick broke numerous barriers and even more race cars in her wild ride to the bottom of NASCAR’s standings. Throughout her career, Patrick has often been criticized as a marketing machine lacking actual substance and success in her field. Off the race track, Patrick has gained an international following thanks to her near-ubiquitous media presence. She’s acted in cameo roles, commentated on races, and became the first woman to host the ESPYs. As of 2018, Patrick has been in a relationship with NFL star quarterback Aaron Rodgers. 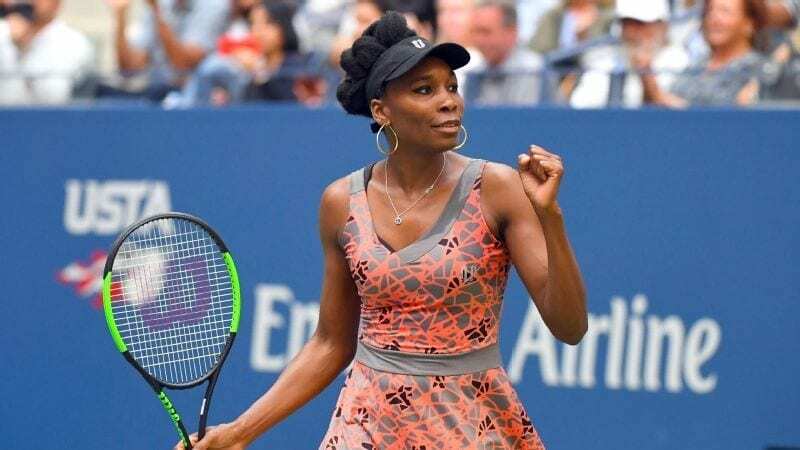 The older, slightly less famous Williams sister, Venus is still regarded as one of the best female tennis players ever. She’s been ranked No. 1 in the world on three separate occasions and has seven Grand Slam titles. In addition to her Grand Slam successes, Venus has won four Olympic gold medals and one silver. In 2009, Venus, along with her sister, Serena, branched into the corporate side of sports by becoming minority owners in the Miami Dolphins. To accompany her vibrant style, Venus created her own line of clothing called ELEVEN which is sold worldwide. Williams is also an adherent of Jehova’s Witness. This one may come as a surprise, because most funny car racers aren’t worth 100 million. But Alexis DeJoria, the daughter of John Paul Dejoria, a billionaire who founded Paul Mitchell hair products and The Patron Spirits Company, has a lot of gas in the tank and money in the bank. DeJoria is currently married to television personality Jesse James. Although many people question whether or not DeJoria bought her way into drag racing, she maintains that she rose to the top the right way, competing in the lower ranks and moving up as she won. After the 2017 season, DeJoria retired from racing. Since then, she’s decided to focus on her family. Considered one of the best female tennis players ever, Maria Sharapova has won five Grand Slam titles and one silver medal at the 2012 Olympic Games in London. But Sharapova’s greatest asset isn’t her overhand serve or end-to-end agility, it’s her marketability. She’s had endorsements with some of the world’s biggest brands (Nike and Porsche), modeled for publications such as Sports Illustrated, and even has a confectionary company. For 11 consecutive years, Sharapova was the world’s highest-paid female athlete. In 2016, Sharapova and her marketbility took a major hit after she failed a drug test. Following the test, she was suspended from all major competitions. The most dominant female tennis player ever. No one has done more in the sport of tennis than the younger sister of Venus. Serena has an Open Era record 23 Grand Slam singles titles and has 14 Grand Slam doubles titles. In addition, Williams has four Olympic gold medals. Like virtually every other athlete here, Williams is, except to a much larger degree, highly marketable and has a slew of major endorsments ranging from Nike to Gatorade and is heavily involved in multiple philanthropies, acted in a variety of television shows, and is a published author. In 2017, Serena married Reddit founder Alexis Ohanian, and together the couple has one child.